Born in Thessaloniki, Symeon IOANNIDIS studied piano, violin and mathematics in his homeland Greece. After the work experiences with S. Cambreling, C. Marthaler , A. Viebrock and his encounter with J. Xenakis in Oper Frankfurt, he decided to devote himself fully to the study of music. In the following years, he continued his piano studies at the University of Music and Performing Arts in Frankfurt and intensified his studies of conducting with Prof. G. Kahlert at the Music Academy “Franz Liszt” in Weimar as well as with Prof. H.-D. Baum and Prof. J. P. Weigle at the Music Academy “Hanns Eisler” in Berlin. Symeon IOANNIDIS was prize winner at several international competitions and conducted in Germany, Italy, France, Spain, Scotland, Cyprus, Russia, Greece, Monaco, Turkey, Colombia, Honduras and Korea. He worked with orchestras such as Konzerthausorchester Berlin, Berliner Symphoniker, Deutsche Kammerakademie Neuss am Rhein, Neubrandenburger Philharmonie, Würtemmbergische Philharmonie, Thessaloniki State Symphony Orchestra, Antalya State Symphony Orchestra , Krasnojarsk Philharmonic Orchestra, Symphony Orchestra of the Municipality of Thessaloniki, Hamburg Symphoniker and Komische Oper Berlin. He held workshops and lectures, directed several international festivals and competitions. He conducted various opera projects in Europe and worked at recordings as conductor and as producer. The artist was engaged at several Opera Houses in Greece, China, Germany and Korea. His own compositions are performed in various concerts. 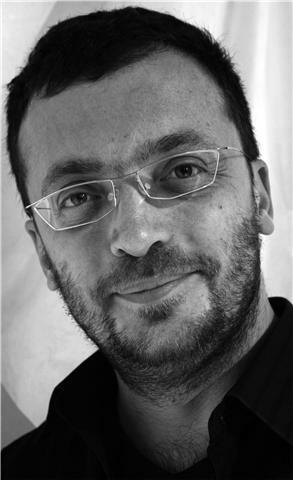 Symeon IOANNIDIS is co-founder of the ensemble “Cornucopia” for contemporary music. He was artistic director of Werkstattorchester Dresden and of the Sinfonietta Bardou. He is guest conductor of Komische Oper Berlin, artistic Director of the Studentenphilharmonie Tübingen, Music Director of the city of Berlin for the BDZ and lecturer for Repetition at the University of Arts (UdK) Berlin.